Not all home projects are considered equal. A 2019 study by Remodeling.com shows that, on average, renovations only return 57 cents for every dollar spent. We’ll take a look at the most relevant home improvement projects that can help increase the value of your home. Some of these tips may not increase your home’s appraised value directly, but can still be beneficial, as they can make your home more appealing to potential buyers. Maintenance consists of routine tasks that keep your home in good condition. Mechanicals are the components of a house that keep it running, such as your electrical panel and furnace. These are some of the most critical items to maintain. Start with the basics — how old is your water heater? Your electrical panel? Your furnace? These items don’t inspire Pinterest boards, but they’re critical to property sales. If a buyer’s inspection report shows that the electrical panel predates modern codes or the furnace is more than 15 to 20 years old (which is the average furnace lifespan, according to Modernize), there’s a strong chance that a buyer will negotiate for a sizable credit to replace it. A potential buyer might also walk away from the deal if upgrades seem too daunting. Stay in a strong negotiating position by keeping your homes’ mechanicals up-to-date. If you’re worried about what the buyers’ inspection might say, take a proactive approach and hire a licensed home inspector to conduct a walkthrough of your property before you decide to sell. For a few hundred dollars, you’ll have a report of every issue that may need to be addressed. You can then make decisions about what to tackle and what to forgo. The inspection report will cover the components of a house, such as the roof, gutters, windows, foundation and floors. It will note whether these components are in good condition, and if anything may need to be replaced due to damage, age or heavy wear. A buyer can use the inspection report as a negotiating tool, and will request that the homeowner either make the repairs listed or provide a credit to cover those costs. If you can proactively address an issue, you might protect yourself during negotiations. However, if you know the inspection will bring an expensive issue to light — such as foundational repairs — you may want to defer these repairs and see how the sale plays out. Sell your home and skip the hassle. 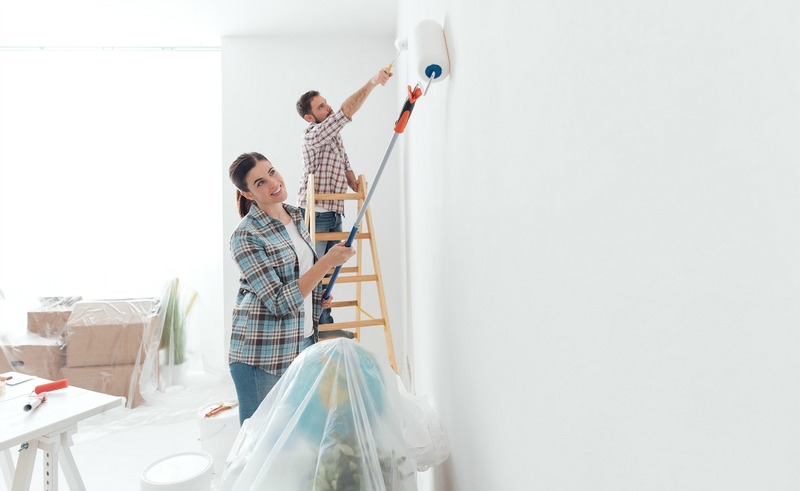 Maintenance won’t boost the value of your property, but neglect could dent your property value, or make it tougher to sell for the price you’re seeking. When did your A/C last get a tune-up? How secure is the weatherstripping around your windows? How scuffed are your hardwood floors? 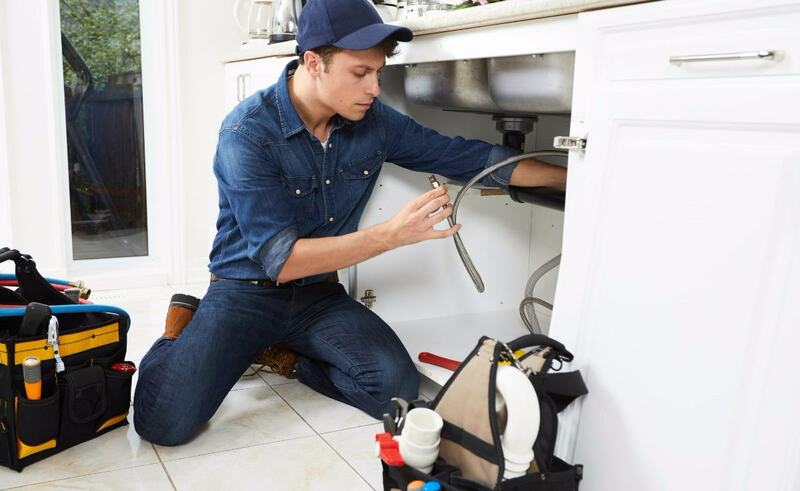 Regular maintenance throughout the life of your home could prolong the life of your components, which will be cheaper in the long run. Buying a home is like dating — first impressions matter. You’re more likely to attract a buyer if you make a few cosmetic upgrades. It’s like giving your home a mini-makeover. Repaint or replace your front door. Power-wash your siding. If necessary, paint your siding, trim, and window shutters. Trim the hedges, keep the lawn mowed, clean your gutters, and plant flowers in the front yard. You don’t need to hire a landscaping company to turn your front yard into a masterpiece, you just need to keep it clean and tidy. Cleaning and decluttering is probably the least expensive way to make your home feel larger. According to a 2017 survey by the National Association of Realtors, 93 percent of agents recommend decluttering your home prior to listing. Remove items that are too personal, like family photos. It will help if potential buyers imagine themselves in the space, not confront the fact that it’s your space. Don’t stuff everything into the basement or garage, since home buyers will look at these areas, too. You may need to rent a storage unit for a few months. In that survey, 89 percent of realtors recommend cleaning your home before showings, and 81 percent recommend carpet cleaning. Think beyond your standard vacuuming routine. Hire a company to deep-clean your house. Professional cleaners are less likely to overlook something that may not be in your field of awareness, like the sheen of fingerprints on cabinet doors. You may need to hire a separate company to steam-clean the carpets, as not all home cleaners offer this service. Lighting can make homes look more spacious and desirable, according to Realtor.com, which also noted that dark or dimly-lit homes tend to languish on the market longer and receive lower offers. Schedule open houses and home showings for the middle of the day, when the sun shines brightest, and open the blinds and window shades before prospects arrive. Consider turning on the lights in rooms that are smaller or that have small windows. Replace dim bulbs with bright, warm-spectrum bulbs. A coat of fresh paint can instantly update your home. Some 62 percent of realtors recommend painting, according to the 2017 study. Choose warm neutral colors such as beige, tan, grey, and “greige” — a blend of grey and beige. Lighter colors can make smaller rooms appear larger. You could add an accent color to walls make a special feature pop, such as the walls of a nook or a bay window. Learn more in this Opendoor post about how paint colors can boost the value of your home. Don’t forget about exterior paint, particularly if your existing paint is chipped, peeling or cracked. Too many colors could make the home appear choppy rather than integrated by a common palate. Choose no more than three colors for the exterior, recommends Jennie Norris, chairwoman of the International Association of Home Staging Professionals. You’ll want one color for the body of the home, one for the garage door and trim, and one for the front door and shutters. Make sure that musty or unpleasant odors, such as the smell of wet dog or spicy food, are cleared from your home before showings. Don’t try to mask odors with other smells. You may love the scent of candles or incense, but a prospective buyer might not be as keen on lavender and eucalyptus. In the same way that you want a neutral color palette on your walls, you’ll also want a neutral scent palette for your air. Opening windows and doors can air out the home, but the weather may not make this feasible. An indoor air filter can remove particulate matter and clear any lingering smells. Finally, let’s talk about cost-effective upgrades that might give your home a competitive edge. You want buyers to feel excited about your home, and details like light fixtures and bath vanities can make the difference between “meh” and “love!” Don’t overdo it, though, because there’s a ceiling to how much your home will command. What’s the difference between maintenance and upgrades? Maintenance consists of ordinary, routine upkeep tasks. You might clean the gutters, replace the HVAC filter, or clear the dryer vents. Upgrades consist of improving the property. You might replace your white appliances with stainless steel, for example, or laminate countertops with granite. Here’s the crucial difference: upgrades may increase your home value. Maintenance prevents your current value from falling. Say you own a 3-bedroom, 2-bath, 1,500-square-foot brick ranch built in 1970. Similar homes in your neighborhood have sold for between $200,000 to $215,000 within the last 60 days. Upgrades could help you sell your home near the top of that range. But don’t spend too much. The most lavish upgrades in the world won’t allow you to price your home outside of these comparative properties. You might benefit from a few inexpensive, environmentally-friendly upgrades, but don’t overdo it. Homes with eco-friendly features such as programmable thermostats, solar panels, bamboo flooring and high-efficiency appliances don’t necessarily sell for more than their less eco-friendly counterparts, according to a 2018 Realtor.com study of more than 200 metro areas. The study found that while eco-friendly homes are offered at a higher price per square foot in some locations, they carry a price tag of the same, or less, per square foot in other locations. If you make green upgrades, focus on low-cost improvements, such as swapping out incandescent light bulbs with LEDs. Don’t forget that caulk and weatherstripping make a huge impact on the efficiency of your home, at a much cheaper price point than replacing your windows. Make these improvements several months before you list your home for sale, since a buyer may ask about the cost of the average utility bills. 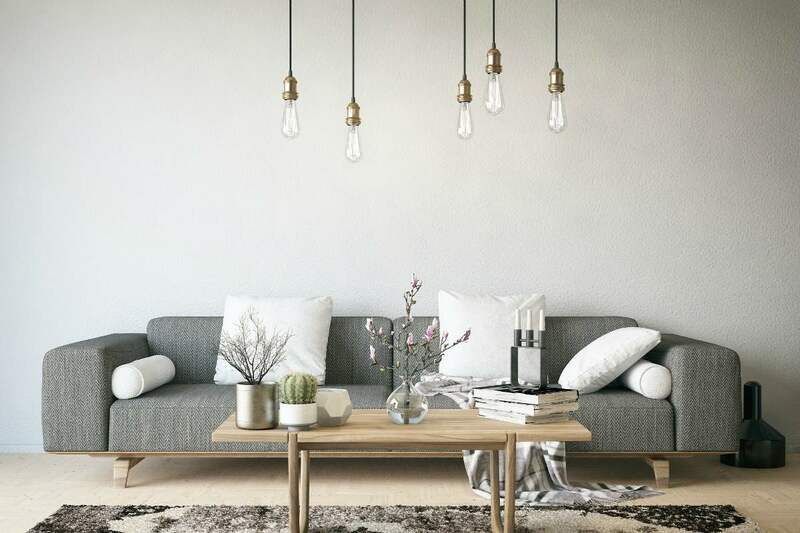 Hang an attention-grabbing light fixture, such as a chandelier or hanging Edison bulbs, in one or two locations. These eye-catching elements can improve the perceived value of your home, giving you an edge over the neighborhood competition. The foyer or entryway is ideal for a statement piece that will create a great first impression. You could also add a beautiful light fixture above the dining room table. These inexpensive details can elevate the perception of your home. A few inexpensive touches could present your existing bathroom in the best light. Replace the bath faucet with a stylish option. Trade your standard showerhead with a more impressive-looking option. Add a builder-grade granite or marble countertop to your bath vanity for a relatively low price point, as the material costs won’t be too high. A prefabricated composite cultured marble countertop from a big-box retailed could cost $150 or less, according to Costhelper. Slab granite countertops cost $60 to $100 per square foot, including installation. If your bathroom is already modern, these upgrades aren’t necessary. But if your bathroom features a 10-year-old countertop with dings, chips and stains, replacing this could help you attract a buyer. If your cabinets are in good condition but outdated, you can make them appear new by applying a few coats of fresh white cabinet paint, and replacing the hinges and handles. You could also hire contractors to replace the cabinet doors, while leaving the cabinets themselves intact. Swap white or black appliances with stainless steel to upgrade the look of your kitchen. Stainless steel appliances are typically viewed as higher-end. To reduce costs, choose entry-level stainless steel appliances, and search for these at outlet stores or in the scratch-and-dent section. Replacing your aging countertop with granite could also add value. If your current countertop looks good, you can skip this step. But if your countertop is made from yellowed, peeling laminate, this project could help boost your home sale value. You might enhance the sophistication of a home by installing a few smart home devices, such as wifi-enabled thermostats and door locks. The Nest thermostat, for example, automatically learns your patterns and adjusts home temperatures accordingly. A smartphone can operate it, so you can monitor your home’s temperatures when you’re traveling, or heat your home in time for your return. The August smart lock automatically unlocks the door when an authorized person approaches, and locks the door behind you as you leave. It also allows authorized guests to access the home, without needing a physical key. These smart upgrades are relatively inexpensive. The basic-tier August smart lock costs $149, while the Nest Learning Thermostat costs $249. 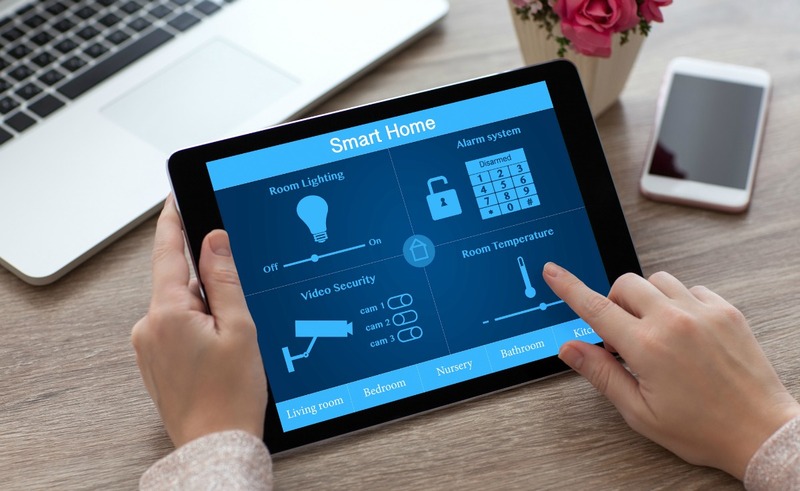 Learn more on our blog about the The 10 smart home technology trends to watch this year. 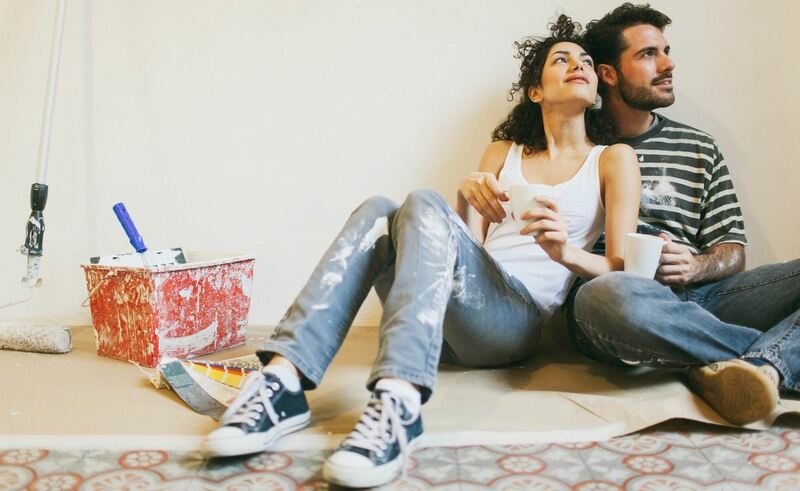 We hope these insights help as you decide which home improvement projects to invest in for yourself and for your home sale. Remember, regular preventative home maintenance can save you thousands of dollars down the road, so don’t skip spring cleaning! Also, the most wifi-enabled smart home in the world won’t command a higher price point if the gutters are clogged and several roof shingles are missing. And, as you consider updating your home before selling, be sure to take into account your neighborhood and the potential buyer of your home.